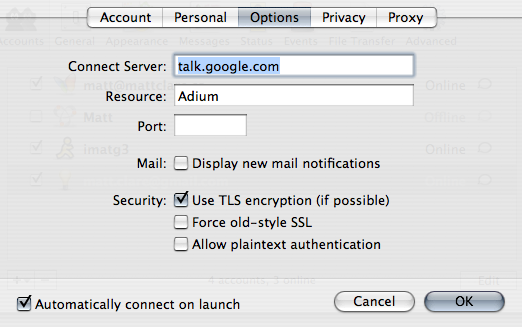 The best IM tool for the Mac (if not any OS) is Adium, but that may change with Google Talk. Hit OK and you’re done! Concerned that MS Office is sending information out about your use of Office to other users on your local network? It’s your computer, block it! You can stop the server it sets up on port 2222 by adding a deny command to your firewall manually. Unfortunately this will stop your System Preferences Firewall options from working, as once it sees entries it didn’t make it will alert you that it can no longer configure your firewall. You may have to read up on the ipfw command in the future. I’ve given you the information, it’s up to you to decide how you’ll use it. if you are concerned about an extra WiFi connection replace en0 with en1. I was at the OPAS conference at the Rogers Campus in Toronto for most of this week. The conference was OK, but I by the measures of what new did I learn and what change was affected by the conference it does not measure well. 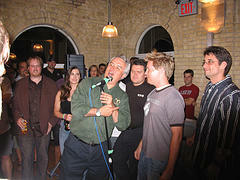 On Thursday before I left to go back down to St. Catharines I went the the TechTV Meetup at No Regrets Restaurant. It was really cool to see all those people there and all of the geek celebrities took time to talk to whomever was interested. I was particularly keen to meet Leo Leport because I think that he’s genuinely motivated to just help people do more with their computers and not be at the mercy of them. He had varied an interesting conversations with those who came to gush, challenge and those who came from places like Detroit! I don’t think he even got a chance to eat! When ever I’m trying to explain technology to others I try to use Leo as a roll model. Anyway, my photos are on flickr and I’m sure you can find other’s there too. If you’ve read this blog before you probably know that I’m a big fan of Wikis and the Wiki concept. I think Wikipedia, the amazingly successful user-created/edited encyclopedia, is a great resource that I use every day that I’m in front of a computer. The Wiki concept of user-created/edited content also works very well for documentation projects, for example, I wouldn’t be as adept with Linux as I am had I not stumbled across the Gentoo Wiki. This lead me to create ‘The WebCT Wiki‘ at Brock University. WebCT is the tool most Canadian Universities use to deliver on-line content and teaching (not the best one, and not the only one). Supporting profs’ use of WebCT is a large part of my job. After writing out the same thing far too many times I started putting documentation on-line a few years ago, but that started to age as WebCT, Windows, the Mac OS and the available software changed. I’d try to find the time to make update and correct typos, but the documents seemed to always be out of date. This spring I converted what I had to Wiki form and along with my colleague Giulia we populated a the WebCT Wiki with what we knew. Last week we took of the restraints that where keeping Google (MSN Search, etc.) from finding it and this week we became the number one result for powerpoint webct! Just like that, almost over night! We’ve even got repeat use from someone in Australia. 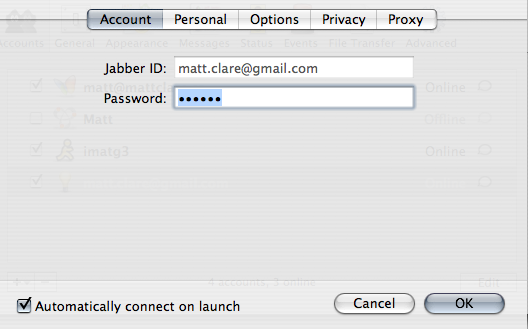 So far we have yet to have a third-party edit, but given our soft launch I’m pretty happy. The benefit has already been realized in that myself and Giulia can make edits the instant we know something is wrong, as soon as we notice it, wherever. The other benefit is that key terms can be hyper links, and don’t require long descriptions every time you mention them. You are currently browsing the iMatt :: The Blog of Matt Clare weblog archives for August, 2005 .